A little something I'm working on as I learn Procreate more. I might change some of the inking stuff - the lower symbols might be redone, and I might re-ink Zala, as she was the first thing I inked and I feel my inking got better as I went on. The way the Apple Pencil feels on a Pro (especially with a screen protector) is a little too smooth at times, but I've been figuring out how to compensate slowly. 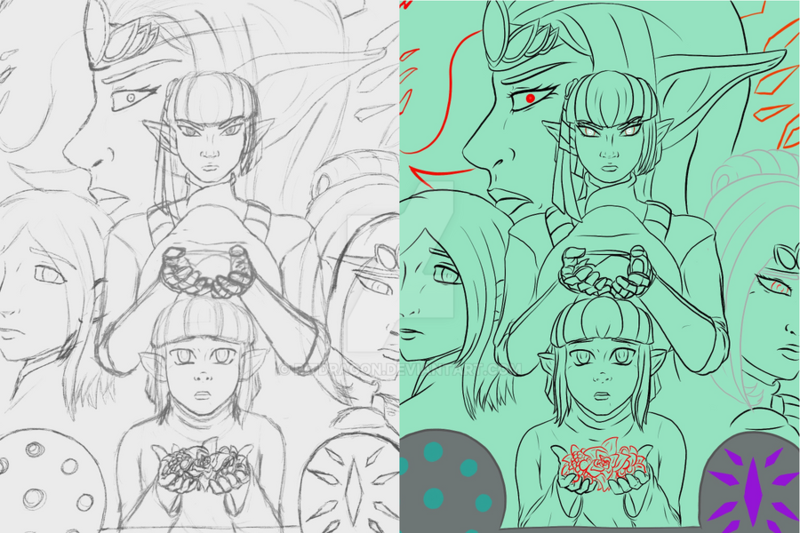 The left shot was actually many-colored as each layer had different tones to set them apart, but I greyscaled it to make it look more pencil-like.